People opt for massage therapy to escape their hectic daily schedule and relax. 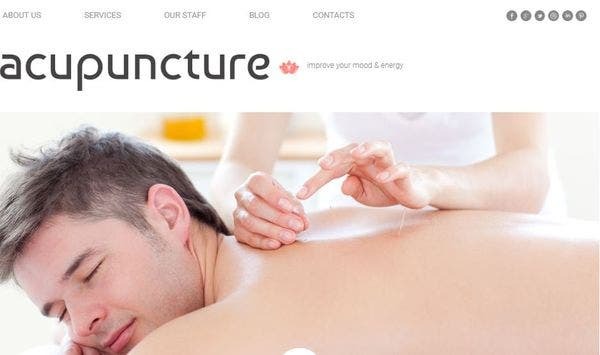 No doubt, massage centers can flourish in their line of business with their niche – specific websites. 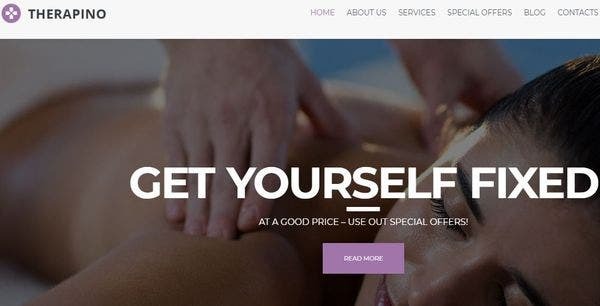 These jaw-dropping best massage WordPress theme designs we bring to you here are suited for any massage center with specific functionalities like appointment plugins. Go ahead, choose one, and create a top-notch website for your massage center. 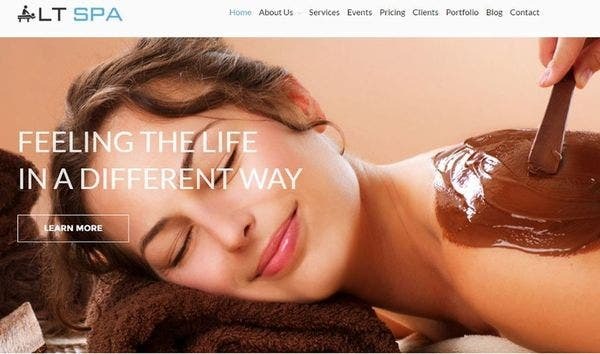 ET Spa therapist WordPress theme is compatible with WooCommerce, the plugin that powers about 30% of the online stores. So, you can readily transform your website into an online store that can sell and promote your own products specific to massage therapy. This WordPress theme comes with 4 color styles that make your site look gorgeous and elegant. This theme is powered by Genesis Framework that helps in creating child themes without much effort. 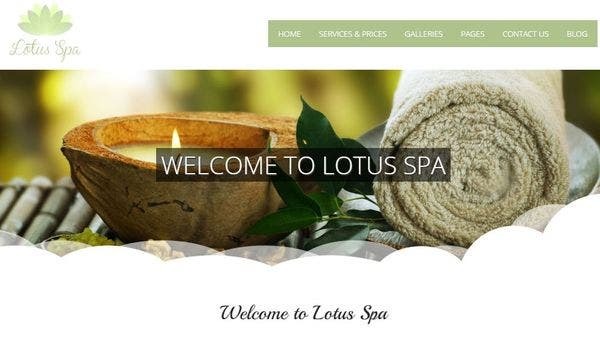 This spa WordPress theme can be installed in just two steps. As this theme is powered by Cherry Framework, even novice users can build a fully functional and stunning website with much ease and comfort. Massage Salon is integrated with audio and video functionality as well. 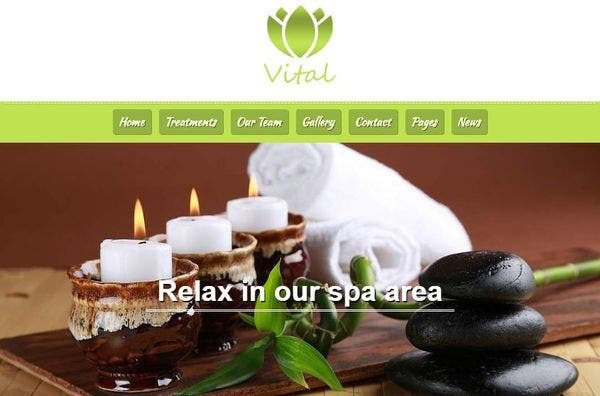 Add a peaceful and serene atmosphere to your spa website with the trendy layout of this theme. 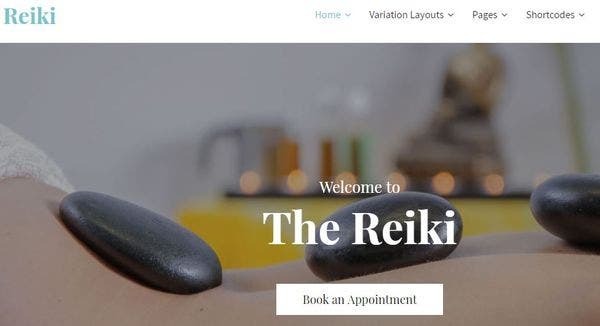 Reiki Pro massage therapist WordPress theme is compatible with SEO plugins like Yoast and All in One SEO, thus ensuring your site achieve higher ranking in Google search. This WordPress theme works perfectly well with plugins like shortcodes ultimate and facilitates the use of the shortcodes anywhere in the template. Comes prebuilt with several shortcodes for gallery, testimonials, team members etc. 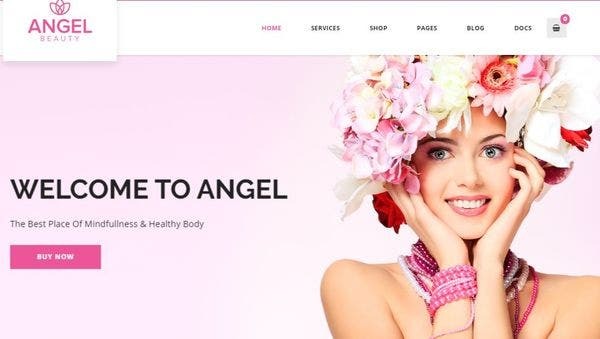 Aphrodite massage WordPress theme is compatible with many widgets like simple slider and post carousel and hence makes your site more functional. The content modules let you add different content types like images, buttons, sliders etc. Each module comes with options to customize them as per your website’s style. The pricing table module lets you display the services offered by your massage center and its pricing. 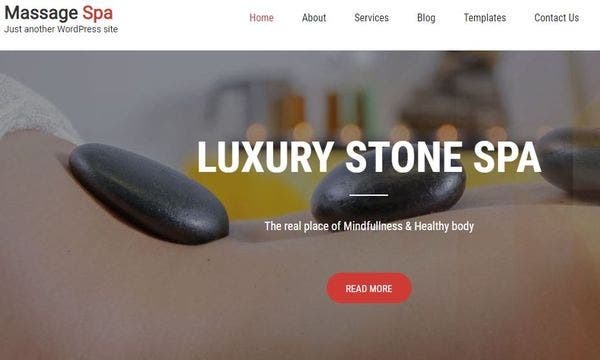 SKT Spa WordPress theme has been successfully tested with booking plugins like Ultra booking pro, easy bookings, WooCommerce bookings etc. Comes with proper documentation that guides you through the whole installation process. Comes with 4 types of header and footer layout options. Equipped with 100+ shortCodes for creating fancy and attractive content and integrated with 850+ Google fonts. Jacqueline being compatible with WP Bakery Page Builder, you can create an unlimited number of custom layouts a per your wish. The codes of this responsive WordPress theme are written according to SEO standards to drag in more traffic to your site and thereby increase your revenue generation. The booked plugin lets you take online appointments made by your clients for massage therapies. Lotus is extremely responsive and hence fits perfectly on all devices like iPhone, iPad or desktop. HTML5 and CSS3 make it easier to generate advanced styles using modern technologies. This professional WordPress theme comes with a help file that explains the setup process very clearly. The quick install & demo content import facilitates quick installation and data import process all within a matter of few minutes. Therapino is designed with multiple layouts and hence choose the layout that suits your business requirement and taste. With the appointment manager plugin, your customers can easily book online appointments with your salon. This SEO ready WordPress theme is designed to be SEO friendly to ensure your website achieves a higher ranking in the Google search. 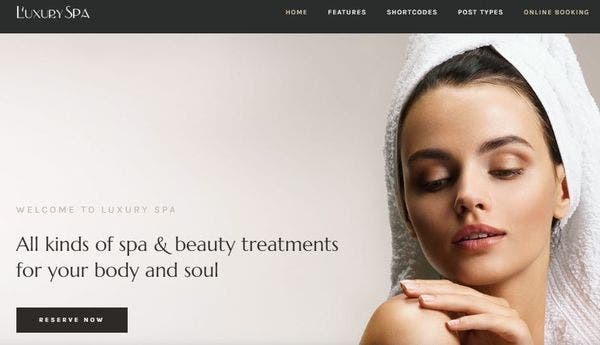 Luxury Spa stunning WordPress theme offers you several blog styles to choose from and a professional blog can be created without much hassle. The two portfolio styles masonry and grid portfolio are also available with lots of options for customization. 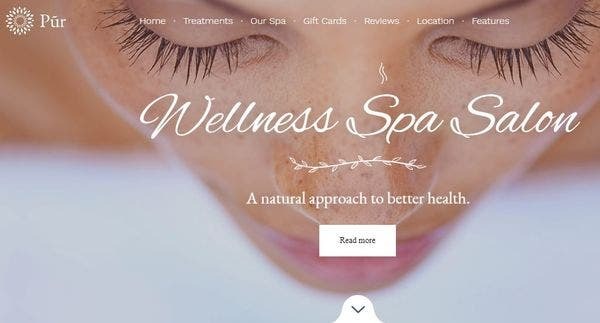 Luxury Spa lets you add animations to your content to make it engaging for the customers and tempt them to browse through your website further. 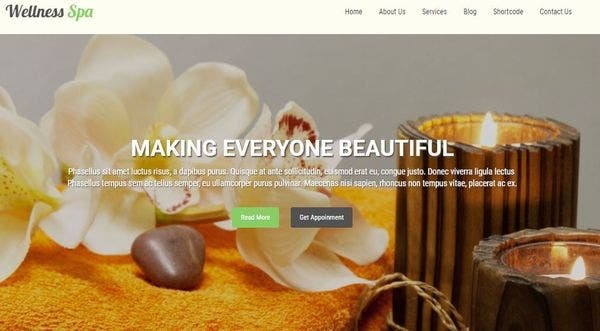 LT-Spa drag-and-drop builder ready theme lets you create a full-fledged website for your massage salon just by a few drag and drops. Has many prebuilt pages that can be readily used in your website with a few minor changes. The Contact us page lets your customers locate your spa branch that is close to their locality. The color picker lets you choose the color from an array of unlimited color options. 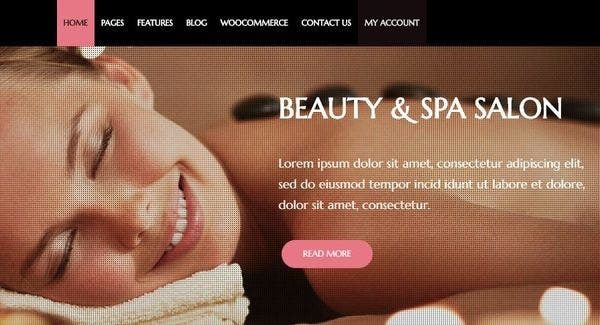 Beauty Spa Lite WooCommerce ready WordPress theme is compatible with many plugins like WooCommerce for enabling the online sale of massage therapy products, contact forms for the users to locate the massage center easily, appointment bookings that facilitate easy online appointments booking and many more. This WordPress theme is integrated with a default slider that can hold up to 5 slides. The flexible page builder lets you build your website without writing a single line of coding. The advanced set of configurations makes your website customization a simple job. 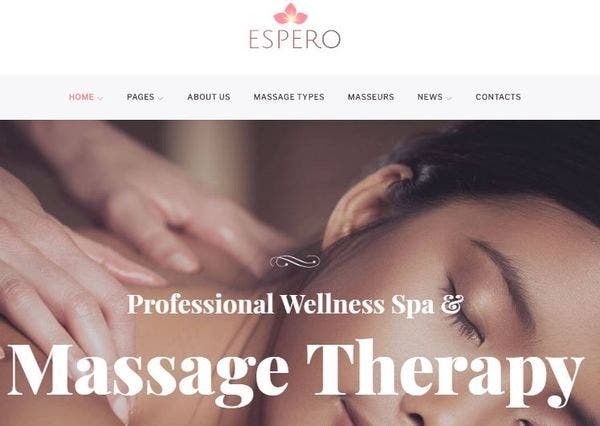 Espero modern WordPress theme is equipped with many plugins like Cherry testimonial for sharing your customer’s testimonials, cherry popups for handling popup windows that let the user know about ongoing offers and cherry search for enabling the users to search for specific massage treatments in your website. Pur is social media WordPress theme designed to have menus with anchor functionality for easy navigation to any section on any page for better user experience. This WordPress theme has endless options of layouts and smooth transition of pages. It simplifies website building to its core by providing 10+ video tutorials for novice users. Comes integrated with search functionality wherein your customer can search for a particular therapy or therapist. The Massage Center has a prebuilt contact us section that has the captcha feature to prevent the website from external attackers and hackers. 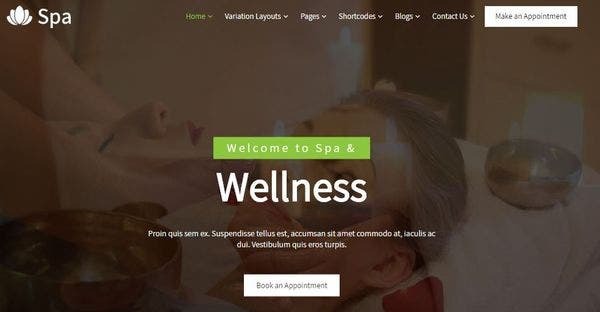 Many massage specific shortcodes like Specials area, opening times of the spa are available with this multipurpose WordPress theme. Call to action and contact info are displayed in the header, thus ensuring lead generation. 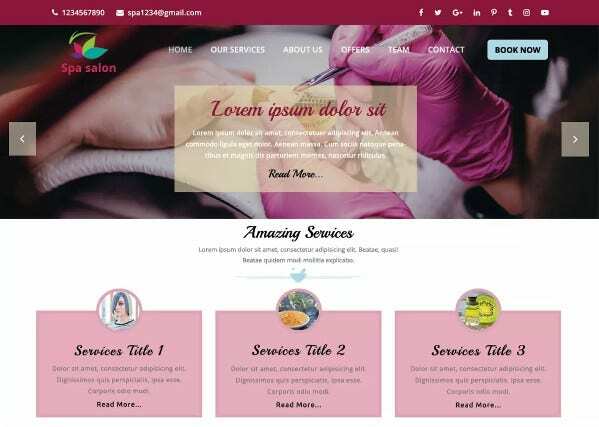 Salon is designed to be a cross-browser compatible theme, hence works perfectly in all browsers like Safari, Opera and Firefox and Google Chrome. 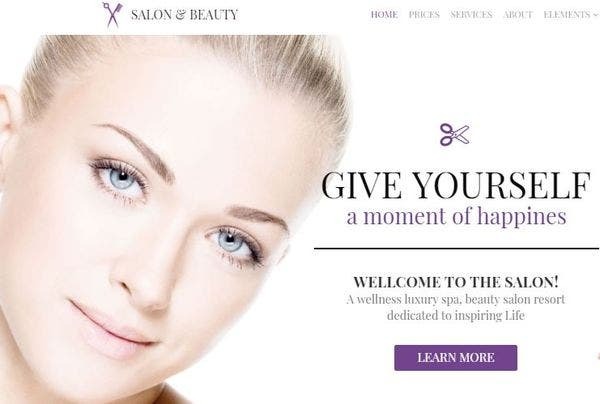 Salon retina ready WordPress theme is designed to generate retina ready visuals and so your visitors are sure to be awe-struck with the luring presentation. Compatible with child theme to ensure easy and effortless customization. Angel is integrated with one click demo importer that imports the sample data in just a single click. This mobile responsive WordPress theme is retina ready and hence looks crystal clear on all last-generation devices. It comes with multiple prebuilt inner pages like About us that tells about your massage salon, members profile page for introducing your massage therapists and much more. With Revolution Slider, grab the users’ attention with the featured content once they land on your website. Natural Spa is equipped with the visual composer comprising of 100+ visual elements that let you build a visually impressive website. 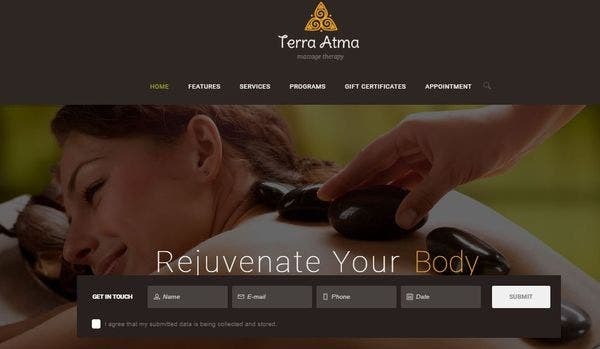 This WordPress theme supports 3 types of reservation add on that makes it easy for your clients to book appointments for massage therapies. 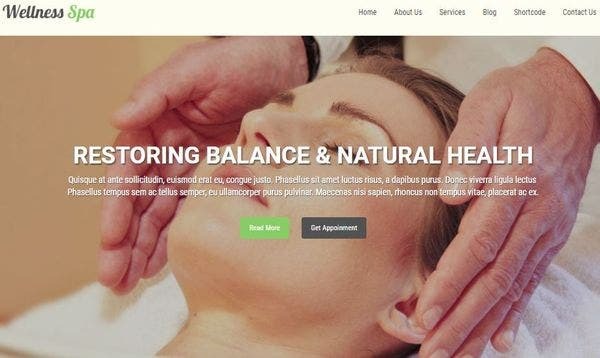 Massage Spa PRO multilingual WordPress theme comes incorporated with blog and news section, thus permits you to share your thoughts and ideas about the recent trends in the massage therapies. Compatible with qTranslate X to make your site translation ready, compatible with WooCommerce to facilitate easy online store setup. Works perfectly well with Visual Composer and Elementor page builder to show off your content in an elegant and unique style. This social media friendly theme comes with social icons like Facebook, Twitter and Instagram that enable you to make a strong online presence. This responsive WordPress theme has been designed and built using Twitter Bootstrap. Supports up to 5 level nesting in the comments that facilitate stronger communication between your clients and your team. The HTML5+CSS3 WordPress theme is designed to support swipe effect on scrolled sections and employs touch screen friendly sliders like revolution and swiper sliders. This theme is well documented and offers professional support and free updates. Comes equipped with premade blocks like services, programs and gallery. Present the massage treatments and services in an eye-catching way via the gallery page. The Shortcode Generator makes it convenient to build the website without much effort. The custom backgrounds feature lets you fix a background for each page or a default background for all pages. Vital supports advanced typography options and hence allows you to switch fonts for all text elements via the options panel. VW Spa Lite is designed to have a faster page load time. The clean and secure code is easier to understand hence makes the customization user-friendly. This WordPress theme is translation ready and can be readily converted to other native languages. Compatible with plugins like Contact form 7 and WooCommerce. This is an SEO friendly theme and so your site is sure to secure a high rank during Google search. 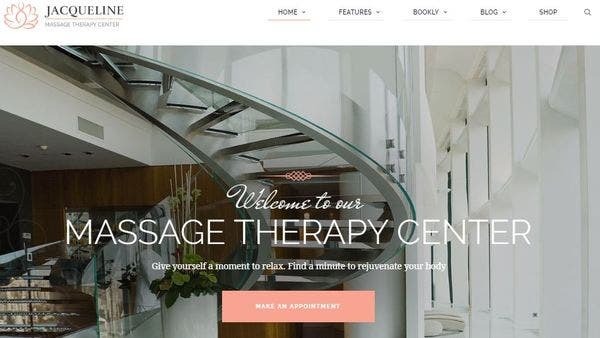 These handpicked carefully crafted themes will help you build a functional and versatile website for your massage salon in all aspects. Choose the theme that best suits your taste and business needs and get started today!